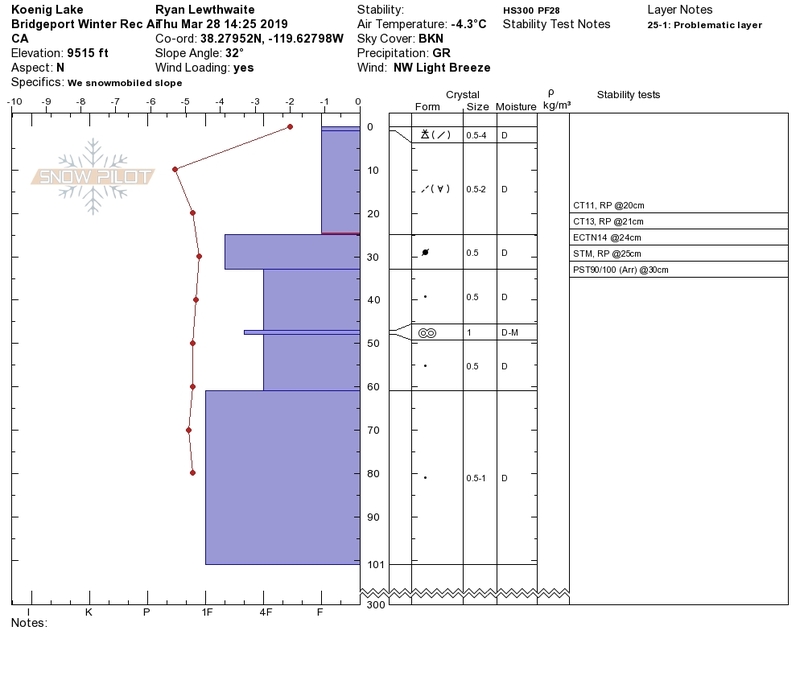 New snow accumulations of 25cm at 9500'. There is a Wind Slab instability with the newly loaded snow from yesterday. The new accumulation sits atop a more firm Windpacked layer which showed the ability to initiate fracture with moderate forces. This interface is buried 20-30cm deep & can be found with quick hand pits & its results are repeatable in snowpack tests. 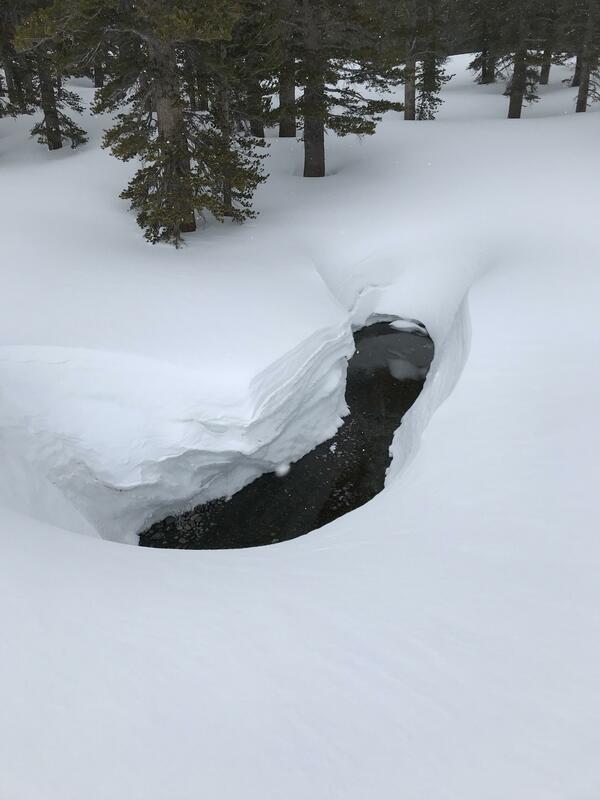 The structure of the snowpack below is in stable shape with minor inconsistencies. Increasing clouds with swirling winds for most of the afternoon. A mix of rime & graupel fell throughout the ride which was rolling down the snow surface. 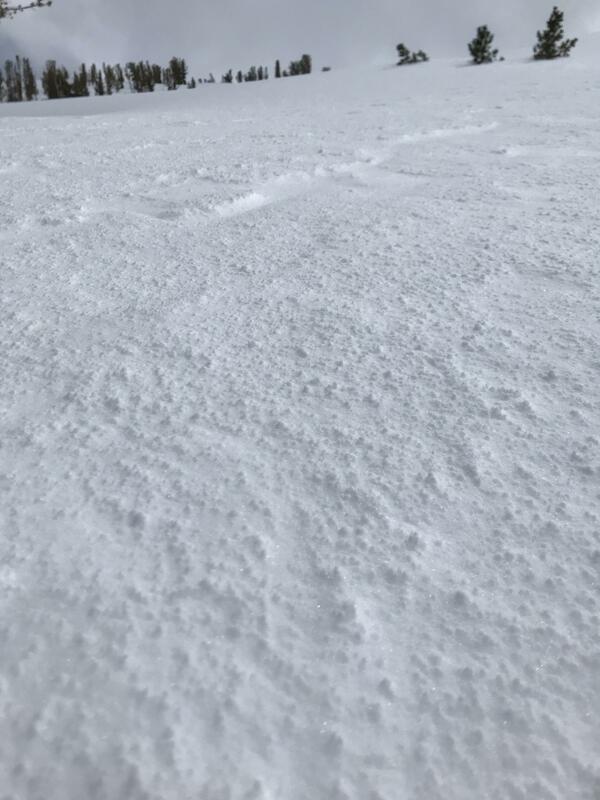 25cm of new snow fell yesterday & was effected by wind.